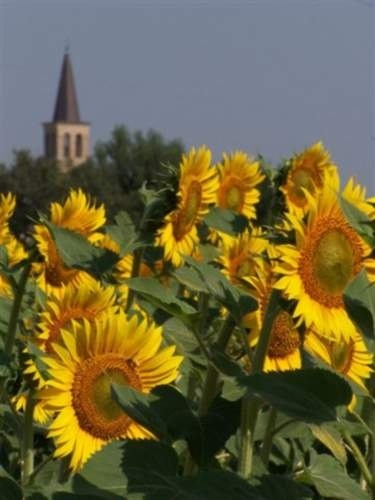 Join us on a 7-Day Walking Tour in Umbria. 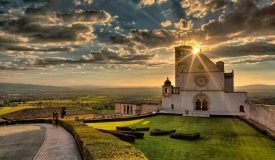 On this tour, which is available on a guided or self-guided basis, we will take a trip through the Umbrian Valley, visiting its famous hilltop towns and seeing some of Italy’s hidden artistic treasures. 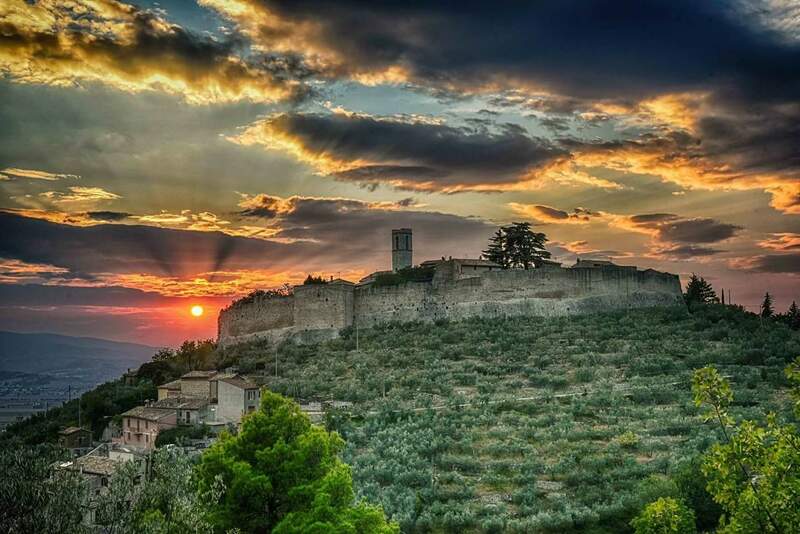 We’ll follow ancient paths through the olive groves, vineyards and forest-covered hillsides of Umbria. 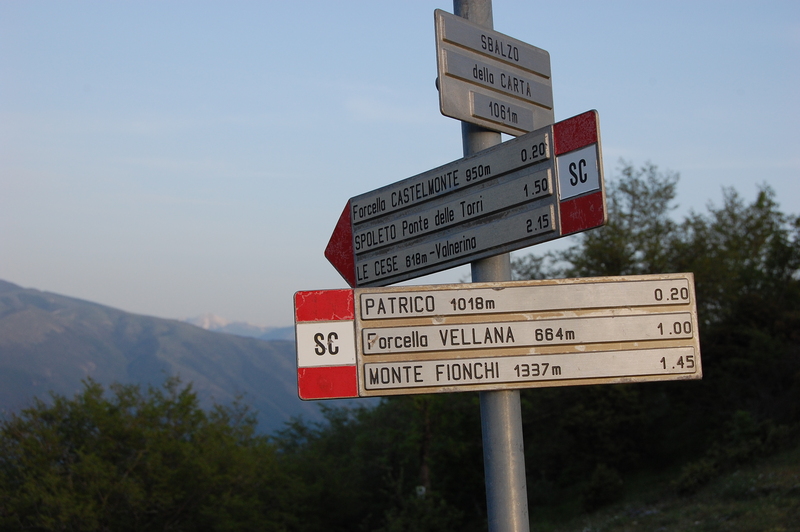 Walking from Spoleto to Assisi, we’ll take in some of the most beautiful scenery in central Italy. Six nights accommodation in carefully selected Hotels, historical residences or Farmhouses plus all breakfasts, lunches (picnic or packed) and 4 dinners. Your baggage will be transferred daily between hotels. 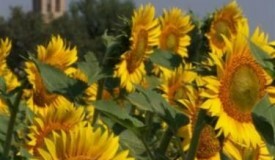 We will provide recommendations for dinner in Trevi and Assisi. If you’d like to join on a self-guided basis, you will be provided with detailed route maps as well as historical and cultural notes for the towns you will visit. You will also have backup from a locally-based English-speaking guide. This tour can be customized for private groups and couples. The tour can also easily be extended by adding one or more of our other tours, before or after this tour -see our other Group Tours and Custom Tours. 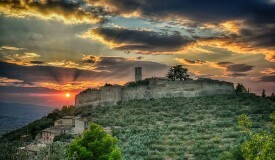 Day 1 Welcome to Umbria! 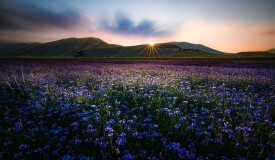 Day 1 - Welcome to Umbria! 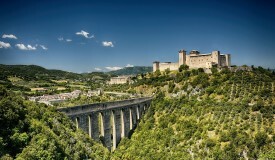 Guided Tour of Spoleto and Special Umbrian Dinner. 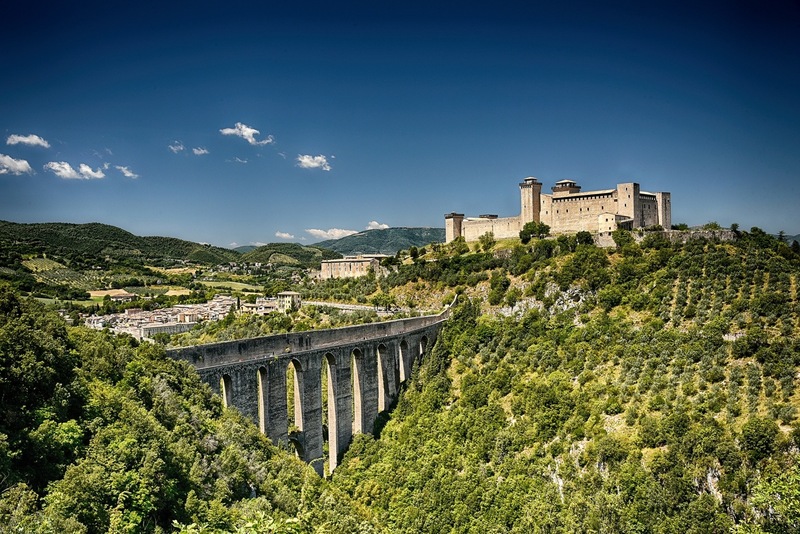 On Day 1, your English speaking, local Tour Manager will meet you at 4 star Hotel San Luca for an introductory Tour Briefing and Guided Walk of beautiful Spoleto. Special Welcome Dinner at award winning restaurant in the countryside, to start off in true Umbrian style! A walk through the olive groves, picnic lunch and olive oil tasting. 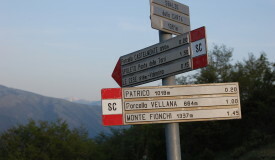 Today we are going to walk the first leg of the itinerary: Spoleto to Poreta. 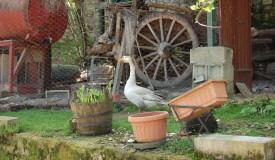 A fantastic Umbrian picnic lunch and extra-virgin olive oil tasting at a small, family run Estate, have been arranged for you! Even if you have joined our Walking Tour on a self-guided option, we’ll be taking care of your luggage everyday. Your destination is Hotel “Le Casaline” in Poreta where you will spend the night and also have dinner (the restaurant has been a favourite with locals for decades and your meal is included). We have also asked Benedetto, the bubbly owner, to prepare a nice packed lunch for tomorrow’s walk (also included). Quiet lanes and gravel tracks through woodland and olive trees. Luggage, food and drinks are taken care of, so you can just relax and enjoy this beautiful leg of the Tour. Today’s destination is the small hilltop town of Trevi, famous, among other things, for its extra-virgin olive oil and unusual “black celery”, a local delicacy (and Slow Food presidium) which is harvested and celebrated with a renowned Food Fair in October, every year. You will be staying at the elegant “Antica Dimora alla Rocca” where Valentina and her team will take very good care of you. Plenty of great places to eat in Trevi (dinner tonight not included) so take advantage of our recommendations, for a real Umbrian experience. 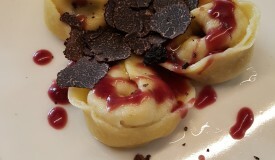 Rural hamlets, ancient paths and a special truffle dinner! 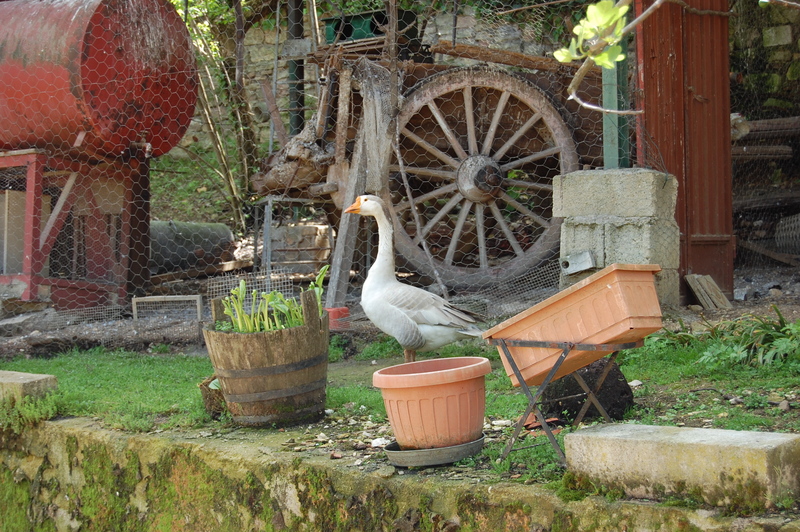 This is a very scenic walk, ending at a lovely Agriturismo (Farmhouse), literally immersed in an olive grove, where you’ll be spending the night (La Quercetta). You’ll be welcomed upon arrival with home-made snacks and drinks. The village is tiny but La Quercetta has its own restaurant, so you’ll be able to enjoy a rustic dinner of local specialties, including their award winning olive oil and truffle based products. A varied walk with waterfalls, Roman wells and surprise lunch! 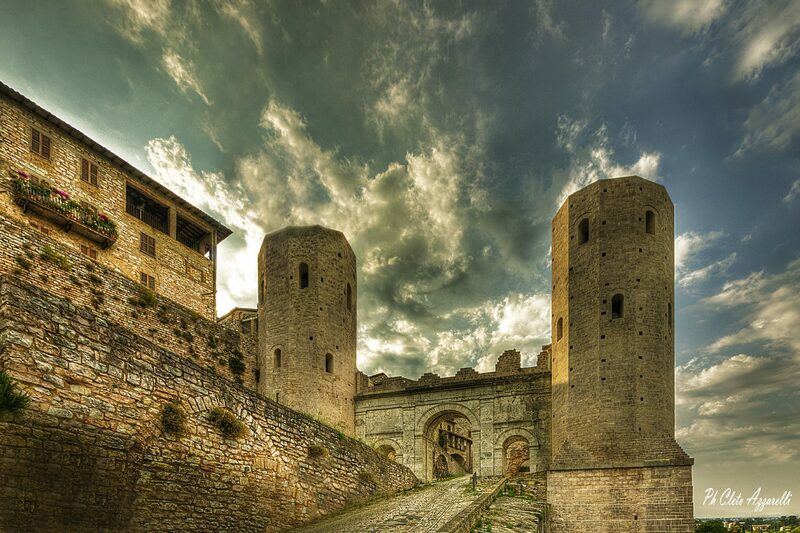 Today’s destination is undoubtedly one of Umbria’s finest towns. Called Hispellum by the Romans, it was built with the local pink limestone taken from the Subasio mountain. One of the most striking Renaissance fresco cycles in Umbria, painted by Pinturicchio, can be seen in the Romanesque Church of Santa Maria Maggiore. The fresco cycle was commissioned by the Baglioni family in the 16th century and was soon recognized as one of the most impressive works of art made by Pinturicchio. Your Hotel tonight is Il Cacciatore and dinner is included. Final destination is Assisi, a truly inspiring place and Italy’s most popular Christian pilgrimage site after Rome. If you are joining the tour in Spring or Summer you’ll be amazed by the abundance of flowers, such as wild orchids and spectacular views. Lunch, again, will be a delicious picnic of seasonal, healthy mix of vegetables, legumes, salads and home-made desserts. Hotel Nun is a wonderful last stop and its Spa (entrance is included) might come in handy after 5 days of intense walking. Again, no shortage of good restaurants for dinner, starting with Nun’s own “Eat Out” (dinner not included). Farewell breakfast and check out from your accommodation. Your Tour Manager will be meeting you this morning at Hotel Nun to discuss your experience and to say “arrivederci”. As you’re probably aware, Assisi deserves a proper visit so, if you’re interested in a Guided Tour, please do not hesitate to ask. 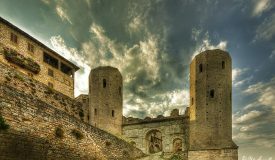 Alternatively why not allow yourself a few extra days to take in some more sights in Umbria and Tuscany or spend time relaxing? Let us know and we can discuss options.